Fancy feeder with easy slot assembly. 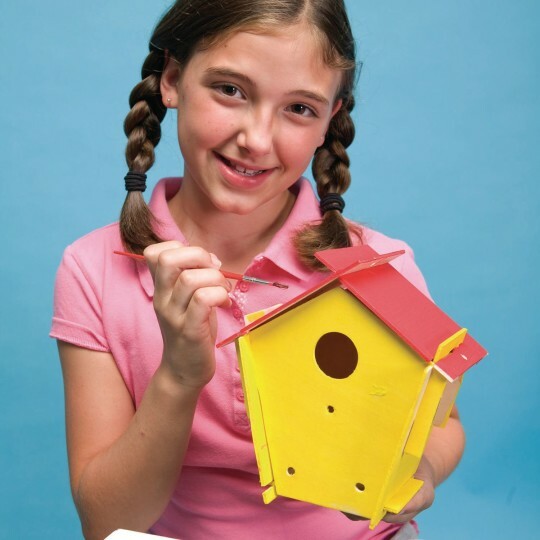 Make a decorative slot-fit luan birdhouse. Fun-to-paint precut bird, flower and butterfly shapes. 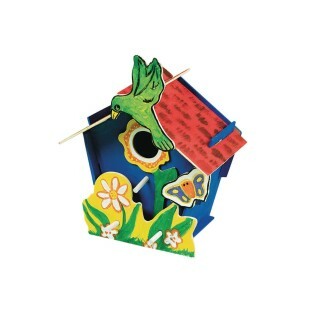 This large 7-1/4" square, tool-free birdhouse is made of quality wood. Pack of 12. Was disapointed when i found out that it was not a real bird house however it is still a cool decoration for the spring. Says they come with paint and glue. The glue is worthless and there's two little sets of basic paint colors for all 12 kits. Mis-advertised and misrepresented. Not real happy with this. Fun project for our residents and will hang them in our court yard/patio area. Craft was flimsy and was hard for residents to put together. They kept falling apart on them. The glue provided wasn't the best. 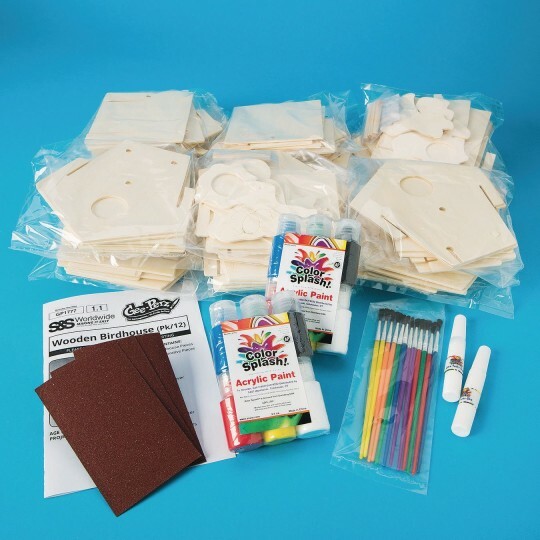 I have some left over and if I use them I will use a hot glue gun or wood glue to put them together. We have a summer camp and we're looking for a great building project for the children with animals and this was great! We will definitely order it again or something like it.